Running a cafe or a coffee shop can be a hugely rewarding business. It’s one of those jobs, after all, where you get to add something special to a person’s day, simply by serving them a delicious cup of freshly made coffee or a slice of cake when they’re needing it the most. However, ask any cafe owner and they’ll also be quick to tell you that the business does have its downsides, too as when it comes to high street enterprises, coffee shops can be exhausting to run, and there’s a massive amount of competition out there to contend with. Think about it for a moment. On your local high street, just how many places are there at which you could buy yourself a cup of coffee and a snack? The chances are, there are two, three, maybe even four or five to choose from. That means – by no uncertain terms – that each business owner must strive to stand out from the crowd, and either offer something unique and distinctive through their products and services, or find some way to outstrip the competition by promoting loyalty in their customers. Consumer loyalty is something which simply cannot be underestimated. It’s a powerful force, which has the potential to either make or break a business, and companies ranging in size from the very, very small to the world-beating and international put huge efforts into promoting loyalty among clients and consumers. Why? Because with loyalty comes a sense of belonging, a protectiveness, and the suggestion that there is a close and direct link between the business and the customer and all of that results in greater revenue and profits. Loyal customers of coffee shops won’t just come each and every morning for their cappuccino; they’ll also get to know the staff, spend longer in the cafe and spend more money as a result, and introduce their friends, family, and colleagues to the business, too. They become cheerleaders for your brand and spread those all-important word-of-mouth endorsements. There are many, many ways in which a cafe or coffee shop can increase customer loyalty and revenue, and there are dozens of fascinating business models which cafe owners could look into. However, one of the most popular methods doing the rounds at the moment (and indeed, one of the most effective and inspirational) is with the use of a smartphone app. Apps for coffee shops are big news at the moment, and every week, yet another cafe seems to be launching its own app, with a plethora of cool design points and features. It’s not difficult to see how an app can increase and enhance customer loyalty for cafes, either – the apps we choose to download on our phones are a reflection of our favourite brands and businesses, and also a reflection of our lifestyle in general. If your regular coffee shop asked you to download their app and promised that it would enhance your customer experience, it’s hard to imagine saying no to such a request. There are a number of features out there which can be included in apps for cafes and coffee shops, and the precise nature of each one depends primarily on the business itself, and the kind of service they are trying to promote. However, there are some fundamental features which are adopted more or less across the board, simply because they enhance the customer experience, and add to that sense of loyalty, efficiency, and keeping the customers’ best interests at heart. Let’s take a look at these in turn. This is the most obvious and perhaps the most beneficial feature of all. Generally speaking, people don’t like waiting in line… and especially not if they’re in a rush to get to work, and need their morning caffeine fix. By creating an app feature that allows someone to avoid queueing for their coffee, you’re immediately increasing the positive experience of visiting your cafe, and removing a potential source of stress and frustration from your clients’ day. Virtual queuing and pre-ordering apps have been around for some time in the catering business and in other industries, too, and this particular feature can be very simple to set up, and highly effective once established. This app feature clearly increases customer loyalty, simply because right now, not a huge number of coffee shops and cafes have this kind of option for their clients. What’s more, if you’re a regular customer of a coffee shop, app features like this allow the client to have something akin to a ‘VIP’ experience – there’s a sense of exclusivity that comes with not waiting in line, and this is something which always goes down well with the public. Lots and lots of coffee shops have had loyalty programmes for years. They generally involve little cards, onto which the vendor puts a stamp or a signature each time a hot drink is bought. Collect nine stamps (or however many the policy states as adequate), and the next drink is on the house. It’s a simple, effective idea, and one which does a huge amount to promote customer loyalty. Nowadays, we’re living in a digital age and the era of cardboard-based loyalty programmes feels increasingly like a thing of the past. After all, what if your customer forgets their loyalty card at home? Or it gets lost, or put through the laundry by mistake? They could be missing out on a free coffee as a result – and nobody’s going to be happy with that! By moving your loyalty card onto an app, and allowing it to be automatically updated with each purchase, you can make the whole process more streamlined, more reliable, and a whole lot more contemporary. Everyone appreciates a freebie, and an automatically-updating loyalty card as part of a coffee shop app will encourage your customers to only visit your cafe from now on, as they know that a free coffee awaits soon enough. Loyalty and community are often deeply connected concepts when it comes to business. If you’re a coffee shop owner, you want your customers to not only use your services as often as possible, but also take an active interest in what you do, and what your cafe is doing and selling on any particular day. By sending out notifications to your customers via an app (for example, letting them know which guest coffee is on sale this week, or if there are any events happening in or around your coffee shop on a given day etc), you can build a sense of community among your clientele. You could even open a direct messaging feature of your app, which might allow customers to submit comments, complaints, or compliments regarding the service, or submit suggestions for improvements. Any way of building that sense of community is a surefire way of increasing loyalty! Customers love to feel that they belong. This is especially true when it comes to coffee shops and cafes – they want you to know how they take their coffee each day, just as much as they want to know their views and opinions are being heard. By sending out notifications and news, and opening a channel for your customers to get in touch with you, that sense of belonging will be considerably heightened. It’s a truly effective technique and one which custom apps are brilliant at bringing about. Just like any businesses, coffee shops and cafes have one objective above all others: to increase their sales, boost their revenue, and make a bigger profit. As we’ve seen, boosting customer loyalty through a custom app is one of the most effective and increasingly popular ways of achieving this. Apps make ordering coffee faster, more efficient, and more streamlined. That means you can make more sales in a shorter time which means more money in your cash register. 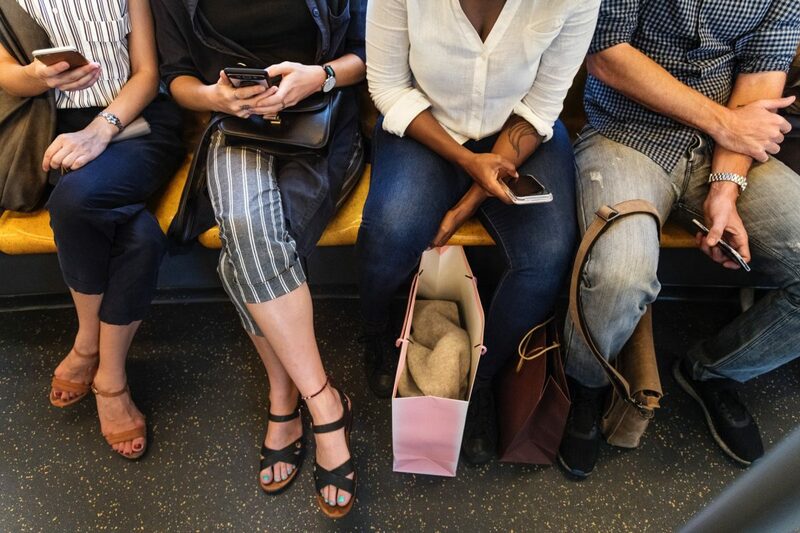 Loyal customers are good customers, and if you’re able to effectively increase that sense of belonging and connection between the client and the business via an app, you’re putting yourself on a path to greater success.